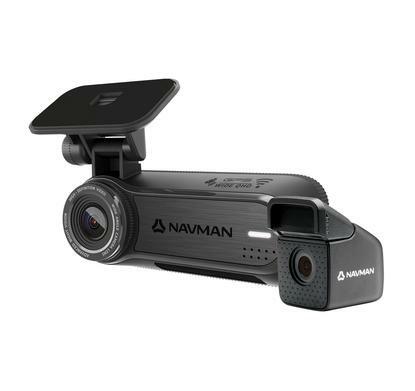 Navman has added two new products to its range, the standard MiVUE Stealth and the MiVUE Stealth Dual Camera. “Drivers who may be in a classic or vintage car, or a luxury motor or just people who like to have certain devices hidden from sight, rather than out in the open,” said Wendy Hammond, General Manager Navman Australia and New Zealand. The MiVUE Stealth range features Sony Starvis 6 glass lenses to deliver 2K Full HD at 1440p, even in dark, rainy conditions. The camera offers event recording in 1, 3 or 5 minute segments and an additional snapshot is taken when triggered by an event. Customers will have the option of adding a rear camera, as well as a Smart Box that provides continuous power for recording when the vehicle is parked and the engine is turned off. The camera comes with a two-year warranty and a 16GB micro SD card in the box. The MiVUE Stealth Dual Camera also comes with the Advanced Driver Assistance System to warn if the vehicle is moving out of its lane or too close to the car in front, as well as headlight and fatigue alerts. The standard MiVUE Stealth is available for $429 and the MiVUE Stealth Dual Camera is available for $549 from available at Autobarn stores Australia wide. For more information, visit https://www.navman.com.au/.